Ann Hyde and Catherine Allen have created an amazing 3-Day C.E.Y.T. for yoga teachers. Each day will include a morning intensive, open to EVERYONE, and then an afternoon training just for teachers. In the morning intensives, experienced practitioners will get plenty of time for more advanced play on the mat. Beginners will gain a keener understanding of essential yoga alignment and foundations! Healthy and healing pose modifications will be given for pregnancy and injuries. Teachers will receive a comprehensive manual with loads of ASANA PHOTOS and descriptions! Successful completion of this training will earn you a Certificate of Completion and 23 continuing education credits for Yoga Alliance, and most importantly, knowledge and tools to become a powerful and empowering teacher. 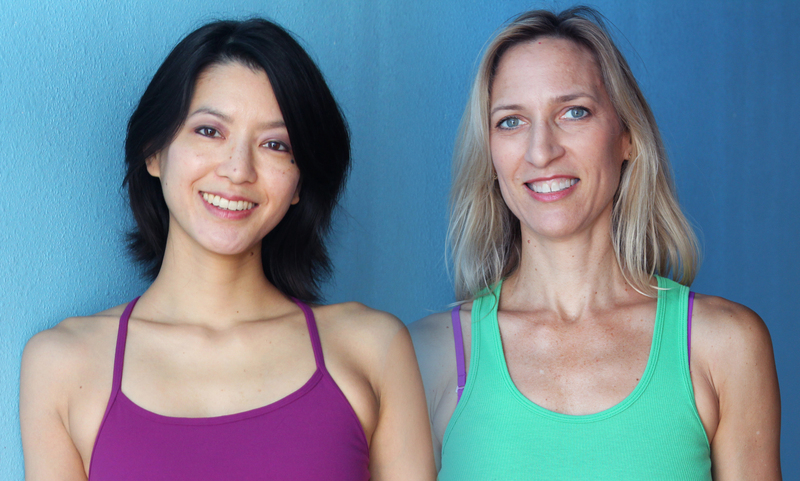 Yoga teachers of any background or style or those who have graduated from a 200-hour yoga teacher training. Catherine (Cat) Allen and Ann Hyde’s CET workshop helped me not only improve my teaching but also deepen my personal practice. They create a safe, nurturing environment where you are free to experiment with various teaching methods and will receive deeply personalized guidance. The morning intensive “Yoga for Back Pain” was one of the most therapeutic and restorative classes that I’ve ever taken. And I don’t even have back pain. This was the most thorough well prepared and impactful training I have ever done! Can’t recommend strongly enough. The Morning Intensives accompany the Teacher Training. You don’t have to be a teacher trainee to participate. This 3-day series will take you on a physical and mental journey deep into the core of your very being. All Levels Welcome! Be on your mat and ready to practice by 8:55 am. The practice room will be heated to 85 degrees. Bring 2 mats, a strap, a block, and water to all sessions. 100% attendance required (no tardiness) to ALL components of the schedule as listed above – NO exceptions. Penalty Fees on Tuition Payments:A $25 returned check fee will be assessed for any returned check. Refunds: NO refunds, credits or transfers for cancellation.